The New York Giants have terminated the contract of cornerback Dominique Rodgers-Cromartie, who had one year left on his current contract. According to media reports, the Giants had asked DRC to “take a signficant pay cut” from the $6.48 million in base salary he was due to make in 2018 (his overall 2018 cap number is $8.5 million). By cutting him the Giants “saved” about $6.5 million in cap space with $2 million in dead money. In his fourth season with the Giants in 2017, Rodgers-Cromartie had a solid, but nondescript, season despite being suspended for one game by the Giants for multiple violations of team rules. 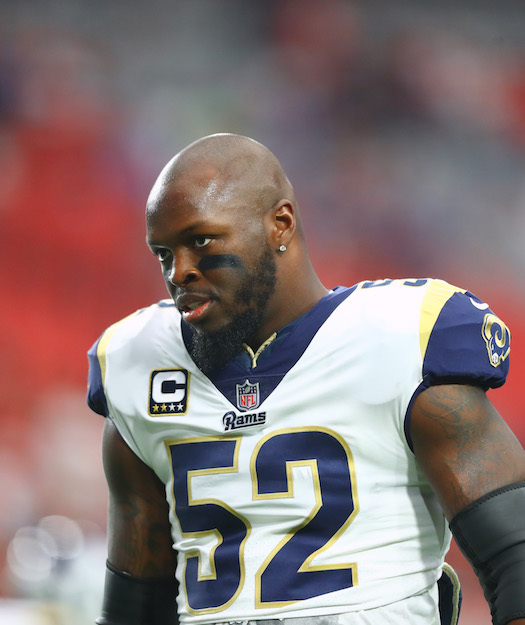 DRC played in 15 games with five starts, finishing the season with 48 tackles, 0.5 sacks, and one pass defense. For just the second time in his 10 year career, he did not pick off a pass, and his pass defenses plummeted. Heavy underdogs to the Kansas City Chiefs, the New York Giants pulled off the upset on Sunday afternoon at a very windy MetLife Stadium, winning 12-9 in overtime. With the victory, the New York Giants improved to 2-8 on the season. The Chiefs actually out-gained the Giants in first downs (22 to 20), total net yards (363 to 317), net yards rushing (134 to 112), net yards passing (229 to 205), and time of possession (37:16 to 30:50). 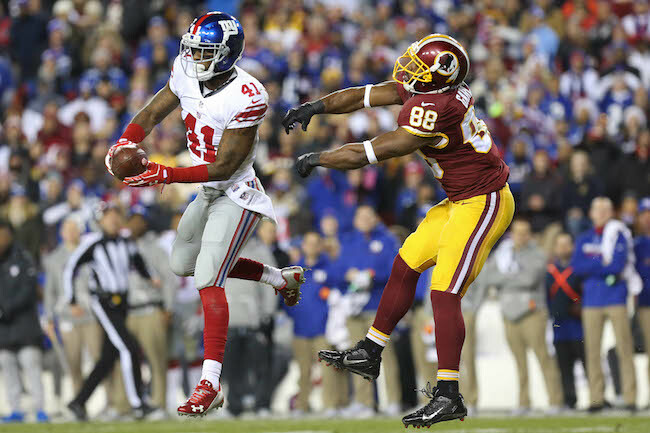 But turnovers were the great equalizer as the Chiefs threw three interceptions and the Giants one. 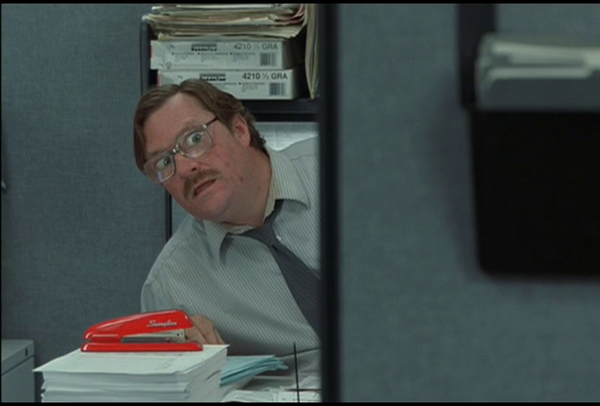 The Chiefs moved the ball 37 yards on their first possession, but punted. 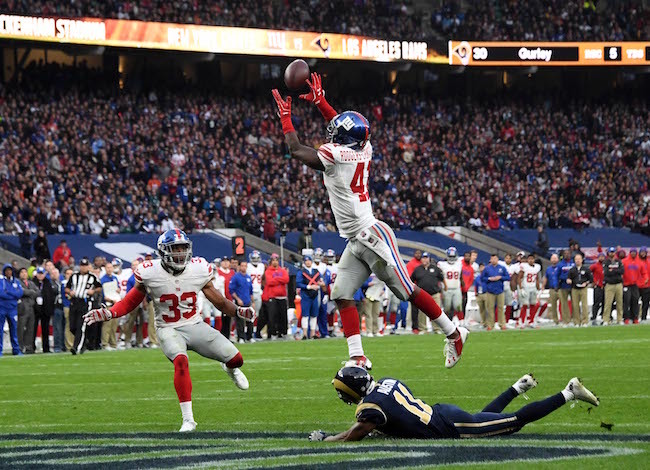 New York pulled out all of the stops on their first series as the Giants ran three trick plays, including a fake punt that picked up a first down and, unfortunately, a halfback pass by Shane Vereen that ended with an interception at the Chiefs’ 1-yard line. 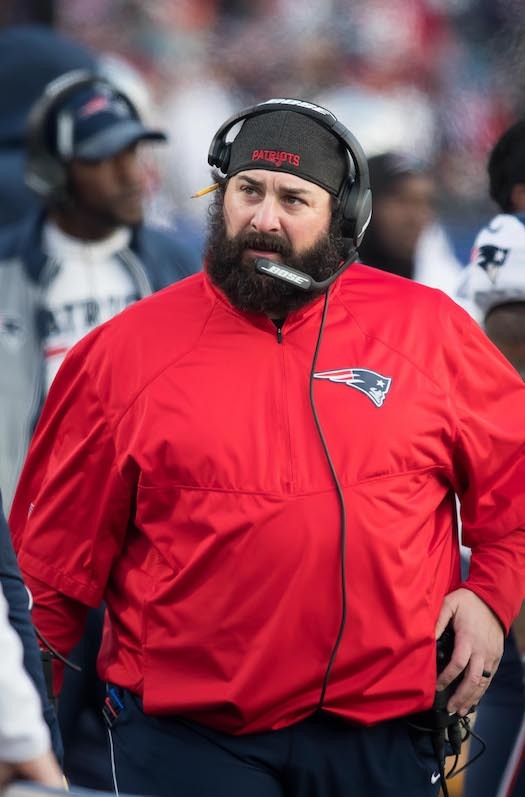 The Giants got the ball back seven plays later when defensive tackle Damon Harrison picked off a shovel pass at the Chiefs’ 35-yard line, returning it to the 26. Six plays after that, running back Orleans Darkwa scored from one yard out. 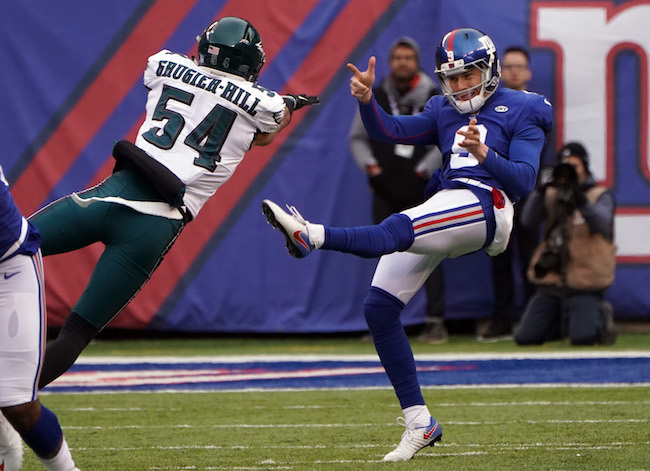 However, place kicker Aldrick Rosas missed the extra point. The Giants led 6-0. Kansas City responded with a 15-play, 61-yard drive that took over nine minutes off of the clock, but settled for a 31-yard field goal to cut New York’s lead in half with just over four minutes to play. Neither team could move the ball for the remainder of the first half and the Giants were ahead 6-3 at the break. The Giants went three-and-out to start the third quarter. The Chiefs gained 33 yards and punted. New York put together a decent drive that gained 58 yards in 11 plays, but turned the ball over on downs on 4th-and-9 at the Chiefs’ 33-yard line. This opened the door for the Chiefs who drove 54 yards in seven plays to tie the game 6-6 early in the 4th quarter on a 31-yard field goal. Both teams went three-and-out. 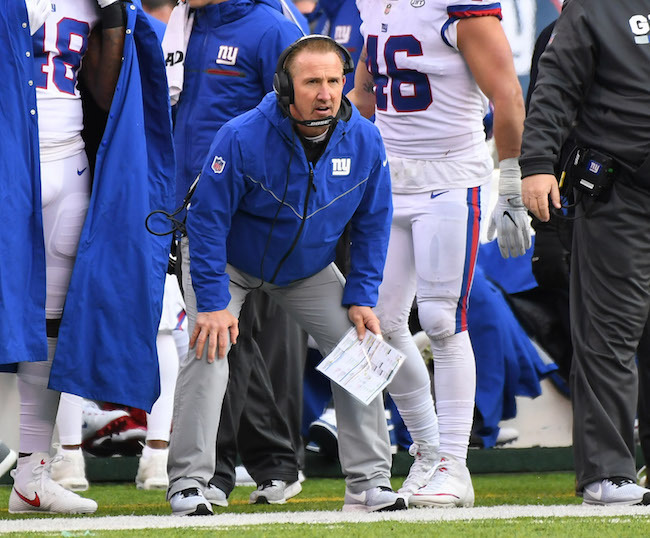 After the Giants gained a couple of first downs and punted, the Chiefs turned the ball over when a trick-play pass by the tight end was intercepted deep by safety Landon Collins at the Giants’ 14-yard line. The Giants picked up one first down and punted again with just over four minutes to play in regulation. New York got the ball back four plays later when quarterback Alex Smith’s was intercepted at the Chiefs’ 40-yard line by cornerback Janoris Jenkins and returned 17 yards to the 23. Five plays later, Rosas kicked a 26-yard field goal to give the Giants a 9-6 advantage with 1:38 to play. 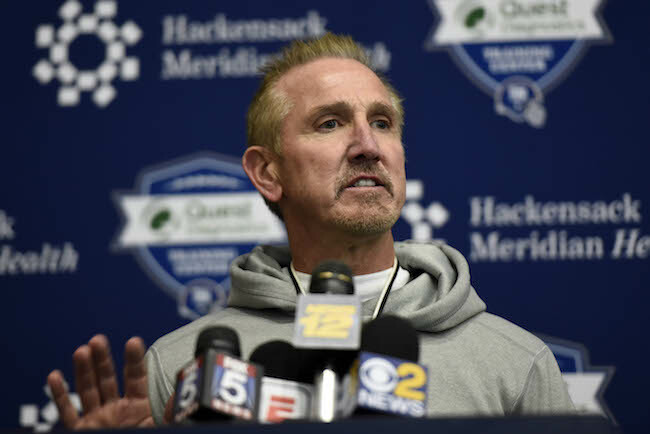 New York’s defense could not hold as the Chiefs drove 69 yards in nine plays and 97 seconds to tie the game on a 23-yard field goal with one second left on the clock. The Chiefs received the ball to start overtime but were forced to punt after gaining one first down. 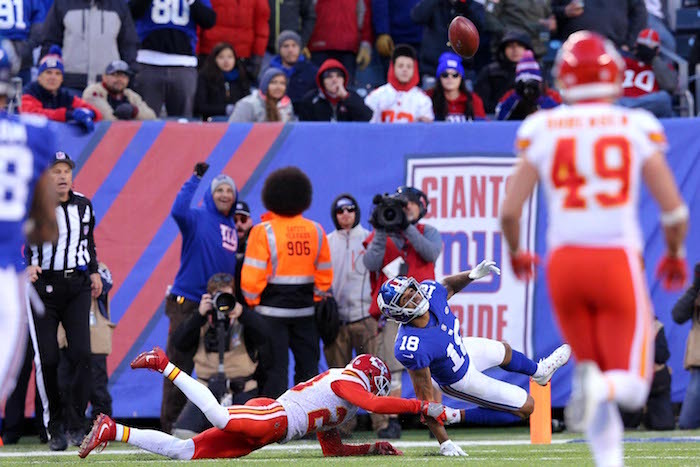 The Giants then put the game away with a 10-play, 77-yard drive, the highlight being a spectacular 34-yard catch by wide receiver Roger Lewis, Jr. on 4th-and-5 down to the Chiefs’ 2-yard line. Two plays later, Rosas kicked the 23-yard field goal for the win. Manning finished the game 19-of-35 for 205 yards, no touchdowns, and no interceptions. Wide receivers Roger Lewis (55 yards), Tavarres King (48 yards), and Travis Rudolph (34 yards) each had three receptions to lead the team. Orleans Darkwa gained 74 yards and one touchdown on 20 carries. Rookie Chad Wheeler started at right tackle. Landon Collins led the defense with 14 tackles and an interception. Linebacker Calvin Munson had 12 tackles and linebacker Devon Kennard had the team’s lone sack. Damon Harrison and Janoris Jenkins each had interceptions as well. Inactive for the game were wide receiver Sterling Shepard (migraine), offensive lineman Justin Pugh (back), linebacker B.J. Goodson (ankle), linebacker Kelvin Sheppard (groin), cornerback Eli Apple, quarterback Davis Webb, and offensive lineman John Greco. The Giants are 20-15-2 in regular-season overtime games since 1974, when the extra period was first played. The Giants improved to 11-3 vs. the Chiefs, including 7-0 in home games. 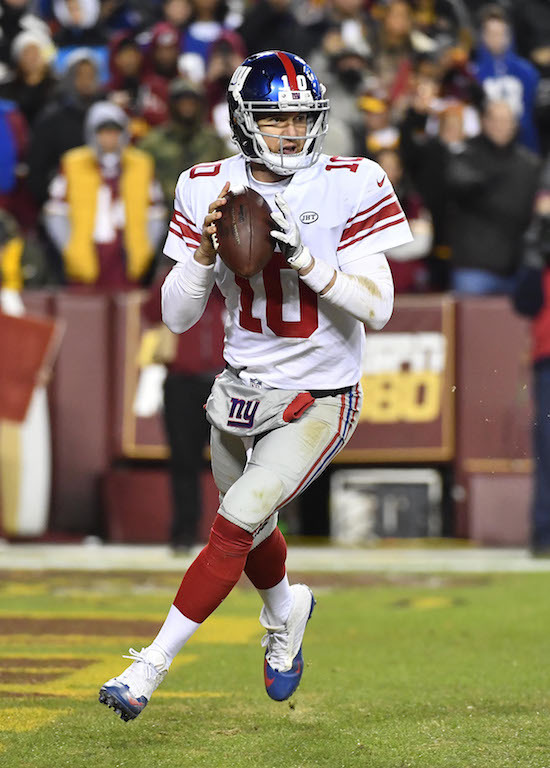 Quarterback Eli Manning started his 209th consecutive regular-season game, breaking a tie with his brother, Peyton, for the second-longest streak by a quarterback in NFL history, behind Brett Favre’s 297 straight starts. It is the sixth-longest starting streak among all NFL players since the 1970 merger. Manning engineered his 35th game-winning, regular-season drive (drives in the fourth quarter or overtime in which he led the Giants from a tie or deficit to win the game). Head Coach Ben McAdoo and select players will address the media by conference call on Monday.